PCCB was formed in 1977 under the name ‘Pakistan Association Cricket Club’. We are the first and the oldest Pakistani club in Belgium. We take great pride in being one of the four founder member club of the Belgium Cricket Federation (BCF) formed on February 25, 1990. PCCB has proudly supplied players to the Belgian national side for International matches. We are also member of the Vlanderaan Cricket (VC). In order to develop cricket in Belgium, PCCB has given priority to playing with the 1oca1 clubs. Our Club is open to all nationalities. We play in the League and T/20 games organised by the Belgium Cricket Federation. We also play friendly games. In 1985 the name was changed to “Pakistan Cricket Club Belgium” and for the first time we had our own ground at “T SAS” in Lier where we played till 1988. We take great pride in being one of the four founder member club of the Belgium Cricket Federation (BCF) formed on February 25, 1990. PCCB is also the first club to organize the T/20 limited overs tournament in1990. This competition was named “Muhammad A1i Jinnah Cup” and the first winner of this cup were the Antwerp Indian Cricket Club. At present we do not have a ground and are looking to acquire one. Interested in becoming a PCCB member? All new members are most welcome. 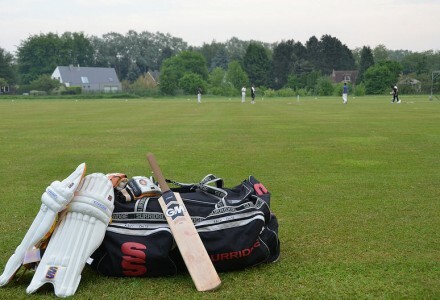 Membership of Cricket Vlaanderen and the Belgian Cricket Federation (BCF), including insurance coverage during practice and matches (damage, liability). We are waiting for the testimonials from the PCCB members!